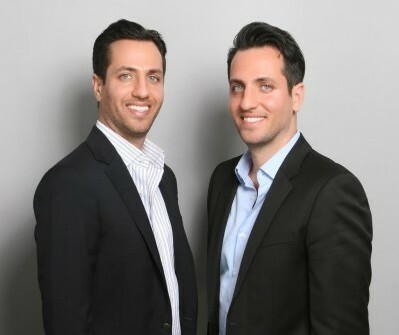 Co-Founders of The Marcole Group and identical twin brothers, Mark Berookim and Michael Berookim have been immersed in developing and operating companies in the K-12 educational services sector for decades. They are education savvy entrepreneurs primarily focused on improving academics and delivering successful large scale educational programs using innovation and technology. The Berookim brothers are the product of humble beginnings. Despite the lack of financial and academic support, Mark and Michael had always envisioned themselves establishing their own business. Graduating from the public school system, first from Los Angeles Unified School District (LAUSD), then from the University of California Los Angeles, Michael wanted to effect change in education and became passionate about changing the lives of children. With no capital in hand, in 2000, at the age of 19 they set off on their journey, starting their business from the bedroom they shared in the apartment they grew up in. Their initial focus was on individual and private tutoring services to students in grades K-12 in middle to upper class neighborhoods. By 2006, they directed their attention to meeting the needs of public school students much like themselves who had no access to private academic assistance and launched supplemental educational services (SES) programs funded by the No Child Left Behind (NCLB) Act. Their various companies reached students in more than 100 school districts across several urban and metropolitan cities in multiple states throughout the country and have provided services to over 165,000 students and have hired over 35,000 instructors. Over the years, Mark and Michael have established a strong presence in real estate and have displayed a passion for philanthropy. They have contributed over $400,000 to non-profit and public education agencies such as LA’s Best After School Program, Magbit Foundation, LAUSD’s Beyond the Bell After School Program, The Neuromuscular Disease Foundation and Maccabi USA. Mark and Michael are fortunate enough to know some prominent individuals in the education and government sectors. The Berookim brothers have worked tirelessly to achieve student academic progress by passionately believing that all students can and will learn. California State Superintendent of Public Instruction (2003-2011); California’s Top Education Official and former California State Senator. The Berookim brothers share a similar passion for addressing the needs of low-achieving students, getting them back-on-track by offering an individualized learning environment. They are hardworking, astute educational entrepreneurs that possess the right skill set and relationships that are needed to run large scale education programs. When it comes to hiring instructors and hiring them efficiently in the tens and thousands, Mark and Michael are the names that stick out as they have 30 years of combined experience. They create a respectful, positive, and results-oriented work environment for their educators. President of United Teachers of Los Angeles (UTLA) from 2005-2011. UTLA is the country’s second largest teachers union representing over 40,000 teachers. Mark and Michael Berookim are truly dedicated to the education of our youth and passionate about creating positive change in education. They understood the vision for WISH Charter School and the need to approach education differently. Their generous contribution of $50,000 helped our schools become exemplary models of best practices in the areas of parent partnerships, co-teaching and collaboration, differentiated instruction, school wide positive behavior intervention and support, small class size, and research to practice demonstration sites. Executive Director for WISH Charter Schools, one of six schools in the US being recognized for its exemplary practices. Mark and Michael Berookim are always working hard on new initiates and ideas to improve and develop meaningful education solutions. They are forward thinkers that are able to cultivate parent interest in the educational services sector through large scale community outreach campaigns. Founder of the California Charter Schools Association (CCSA) and Former Board President of Los Angeles Unified School District (LAUSD). Mark and Michael Berookim have been developing and managing educational programs for many years, providing innovative ideas and creative approaches to K-12 education. They are passionate and dedicated about helping students’ reach academic gains through technology and innovation. You are a necessary and welcome addition to our educational community. We are grateful for your presence and commend your continuous efforts in helping students in the state of Florida achieve their academic potential. Former Florida Commissioner of Education; Florida’s Top Education Official and former Florida State Senator. Throughout the years I have witnessed Mark and Michael’s outstanding efforts to improve education; they continuously address education reform and have a proven track record of success through community outreach and involvement. Families appreciate their program involvement because they are a respected name in the community. Mark and Michael Berookim are invested in educational programs, having been involved in the K-12 sector for many years now. They have been accepted as leaders within the education sector and have built key relationships with education stakeholders, as well as various school administrators. Los Angeles City Council member and Former Board President of Los Angeles Unified School District (LAUSD). © Copyright 2017 The Marcole Group, LLC. All rights reserved.